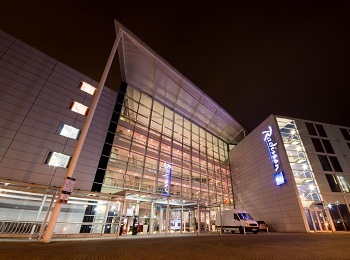 The Radisson Blu Hotel, London Stansted. Only a few minutes’ walk from the airport terminal, this hotel provides a relaxing refuge from the chaos of travel. 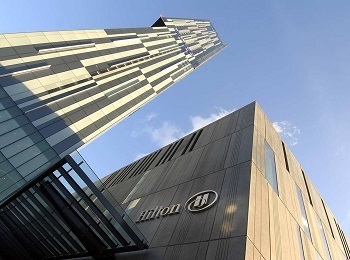 Located within the striking Beetham Tower, in walking distance to shopping and entertainment, the Hilton Manchester Deansgate is at the heart of the city.